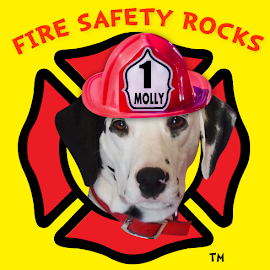 Fire Safety Rocks: All packed and ready to go to BlogPaws! 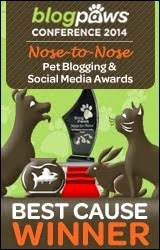 The SpotMobile is all packed and we are ready to go to BlogPaws in Salt Lake City, Utah! 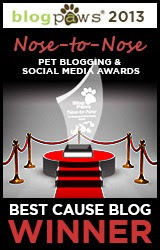 All our stuff! All this has to fit in the SpotMobile! 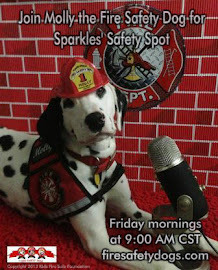 Since we will have so many appearances, we had to color code everything! 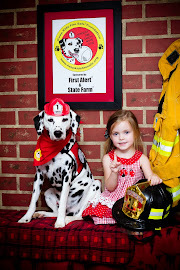 Firefighter Dayna made a sponsor tag for her to wear at BlogPaws. 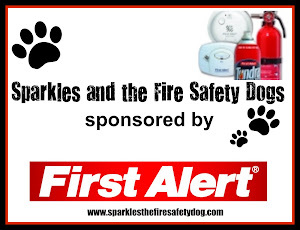 We are so thankful to our sponsor, First Alert, for allowing us the opportunity to go to Salt Lake City to BlogPaws!